A judge will consider Tuesday whether to dismiss a defamation lawsuit filed by model and TV host Janice Dickinson against Bill Cosby. LOS ANGELES (AP) — Janice Dickinson's defamation lawsuit against Bill Cosby should move forward, a judge ruled Tuesday, saying a trial can determine the truthfulness of the model's claims that the comedian raped her in 1982. A jury can decide the credibility of Dickinson's allegations and whether a statement by Cosby's former lawyer branding her a liar was defamatory, Los Angeles Superior Court Judge Debre Katz Weintraub said. The judge said in her ruling she was not assessing the credibility of either Dickinson or Cosby. Dickinson sued Cosby in May after he denied her claims that he drugged and raped her in Lake Tahoe in 1982. She says she tried to include the story in a 2002 memoir, "No Lifeguard on Duty: The Accidental Life of the World's First Supermodel," but her publisher refused. Cosby's attorneys tried to dismiss the suit, arguing Dickinson's story about her interactions with Cosby had changed over the years. His legal team will have several other opportunities to challenge the case before it goes to trial. Dickinson's suit says the denial by Cosby's former lawyer, Marty Singer, caused her to feel victimized again. Letters that Singer sent to reporters threatening to sue if they published Dickinson's claims are protected legal communications and cannot be used at trial, Weintraub also ruled. 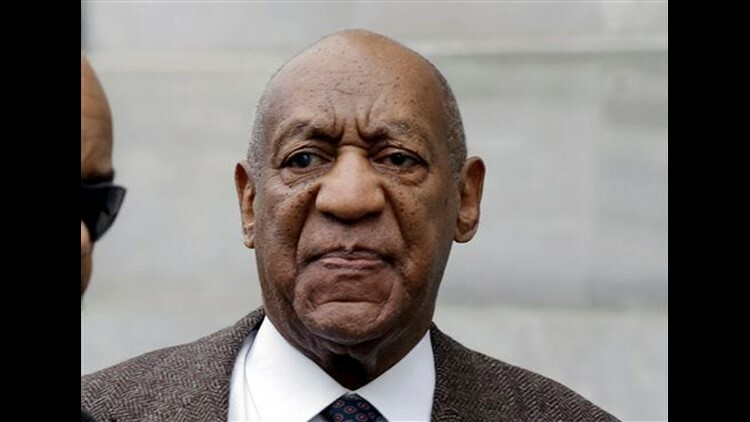 "I want Bill Cosby in court," Dickinson said after the ruling. "I want him to stand under oath." The comedian has been charged with sexually assaulting a former Temple University worker at his suburban Philadelphia home in 2004. He is free on $1 million bail in the criminal case, which is on hold amid an appeal.